Just how did the iphone kill the Flower Fairies? Well first let's talk about where the Flower Fairies came from. Cicely Mary Barker was born in South London in 1895. She took art correspondence classes then evening art classes and first published a set of postcards when she was 16 years old. The first of her series of Flower Fairie books was published in 1923. 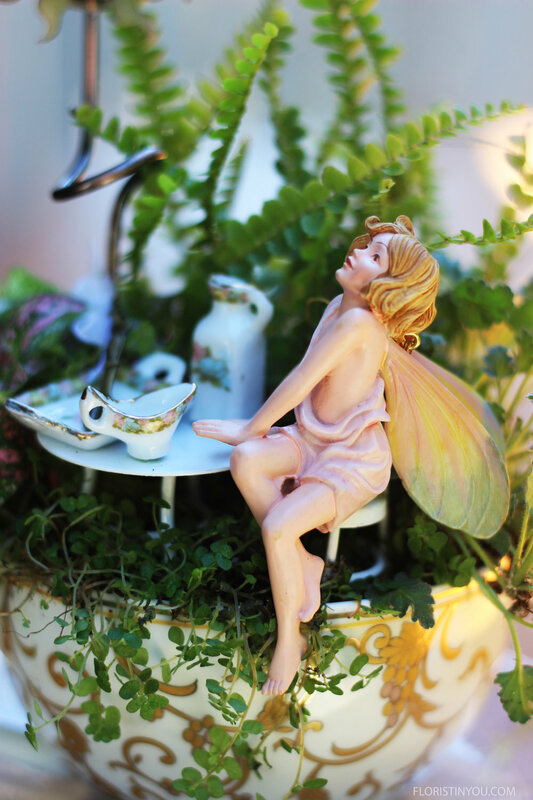 Besides her Flower Fairy drawings, several factories produced Flower Fairie figurines. A factory was set up in China where these porcelain fairies with very detailed features were created. The factory employed artists who lived at the factory with their families and painted the fine features on the fairie figurines. This was their art and their life. They thought their children would become artists, work beside them and eventually take their place. Then the internet and the iphone changed the world. The artists' children did not want to live in the country and paint fairie faces. They wanted an iphone and the things they could buy on the internet, so they moved away into the city. The factory closed. Another company bought the factory and hired new workers to paint the fairie faces, but they didn't have the life like detail that made everyone love the flower fairie figurines and the quality of their fairies was rejected. You can still find some of Cicely Mary Barker Fairies on the link below, but soon they will be collector's items. On this shop page. there are fairie accessories, you know they have to have the latest, and fairy pets. Some of the Flower Fairies there are made of porcelain, some resin, and some of plastic. You need to read the description. There are also other fairies there made of resin. Their features and faces are not as finely detailed, but if you have small children around your fairy garden, they don't break. Below are some detailed shots of the Flower Fairies in their gardens. View them quietly and maybe they won't see you. The neo-classical Jasmine Fairie is my favorite. The tea cup is on the shop-fairie-garden link. Look at all the detail in the Stitchwort Fairy. She looks rather angelic. The Elder Fairie is beautiful. Look at the scaloped edges on her dress. The Apple Blossom Fairy has auburn hair and a neo-classical dress. The swing & fairie pets are on the shop-fairie-garden link above. I love the shoes and costume of the Pear Blossom Fairie. You will find bonsai trees on the shop-fairy-garden link too. Shop for a Flower Fairie on the shop page link above. Enjoy!